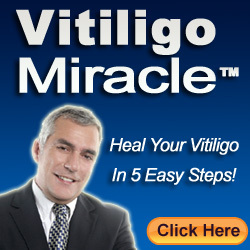 Home Vitiligo How Is Vitiligo Laser Treatment Performed? What Are Its Side Effects? Vitiligo is a skin condition that is characterized by a marked depigmentation of the skin. It is more common in people who also suffer from autoimmune diseases like heart disease, or diabetes. It is also called leucoderma vitiligo. The most obvious symptom of vitiligo is the appearance of white patches on the skin which is caused by the death of melanocytes, or the cells that produce the skin pigment, melanin. The white patches will initially appear as a single spot but would later enlarge and spread to several areas. There are many treatments carried out by patients of vitiligo but it has been said that there is no complete cure for this condition; rather, the symptoms related to vitiligo are merely reduced. There are a number of some dermato-surgical methods done in order to repigment the skin as well as to arrest the spread of the white patches. The most common among these is the vitiligo laser treatment. How does vitiligo laser treatment work? 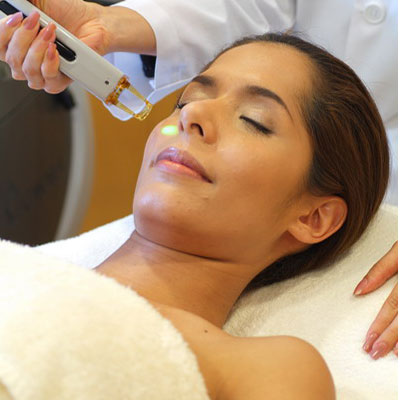 This laser treatment is also known as PUVA, which stands for psoralen + ultraviolet-A treatment. In this method, psoralen is administered, together with an exposure to UV-A light rays over a certain period. Laser treatment is one of the most effective treatments currently being carried out in many hospitals for vitiligo treatment. Patients likewise favor this method as it does not take too long and is painless. This laser treatment does not involve any surgeries – that is, no incisions are made on the skin – classifying it as a noninvasive form of treatment. Excimer lasers and other special devices are used in this treatment. These devices are designed to focus only on the particular area which is affected, and they are so precise that there is little danger of damaging the unaffected cells. The laser light will be focused on that area for a certain period, with a specified intensity. The light’s intensity will be within a range which will not cause any other risk to the skin. This treatment works by stimulating the melanocytes which are responsible for giving color to the skin. When these cells are stimulated, they will commence the production of melanin in turn. The skin will start developing color and the white patches will gradually diminish. The only disadvantage of this treatment is that it is very expensive as it involves advanced technology. Although vitiligo laser treatment is considered generally safe, there may be short-term side effects associated with it, such as an overdarkening of the skin, sunburn, and blistering. Experts warn that there may be a risk of cancer after prolonged PUVA treatments. The patient should therefore avoid sunlight exposure on non-treatment days, and to always use sunscreen lotions with SPFs of between 15 and 30 when undergoing sunlight exposure. It should also be noted that a combined therapy of laser treatment and tacrolimus ointment will give better results, according to several researches. Before proceeding with any type of treatment, however, patients are advised to consult a doctor first to know whether a certain method is appropriate. This is determined via several tests to know the patient’s health condition, including the severity or state of the disease.